Kevin Hart (Night School, Ride Along) and Bryan Cranston (Trumbo, “Breaking Bad”) pair up to tell the inspirational true story of a genuine and unique friendship in the fun and moving comedy “The Upside,” debuting on Digital on May 14 and on Blu-rayTM Combo Pack, DVD and On Demand on May 21 from STX films, Lantern Entertainment and Universal Pictures Home Entertainment. A “funny and warmhearted buddy comedy” (Pete Hammond, Deadline) grounded in real emotion, “The Upside” earned an “A” CinemaScore from moviegoers and features a stellar supporting cast including Nicole Kidman (Aquaman, “Big Little Lies”), Golshifteh Farahani (Paterson, Boutique), Julianna Margulies (“The Good Wife,” “ER”), Aja Naomi King (The Birth of a Nation, “How to Get Away with Murder”), and Tate Donovan (Argo, “Damages”). Recently paroled ex-convict, Dell Scott (Hart) strikes up an unusual and unlikely friendship with a quadriplegic billionaire, Phillip Lacasse (Cranston) in this hilarious and heartfelt comedy. From worlds apart, Dell and Phillip form an unlikely bond, bridging their differences and gaining invaluable wisdom in the process, giving each man a renewed sense of passion for all of life’s possibilities. 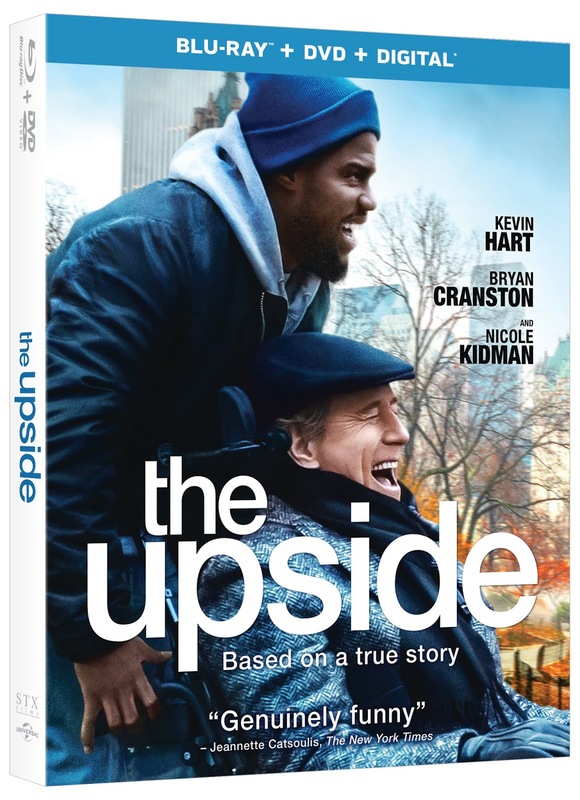 “The Upside” on Blu-rayTM, DVD, and Digital comes loaded with special bonus content including a gag reel, deleted scenes, behind-the-scenes featurettes, and a breakdown of the onscreen chemistry between Kevin Hart and Bryan Cranston.